I remember the cold in my youth-the bone penetrating cold while sitting in the damp marsh beside my father waiting for the ducks to come, the dry, still cold December days hunting deer and waiting for the sun to rise over the horizon and provide a hope of warmth. 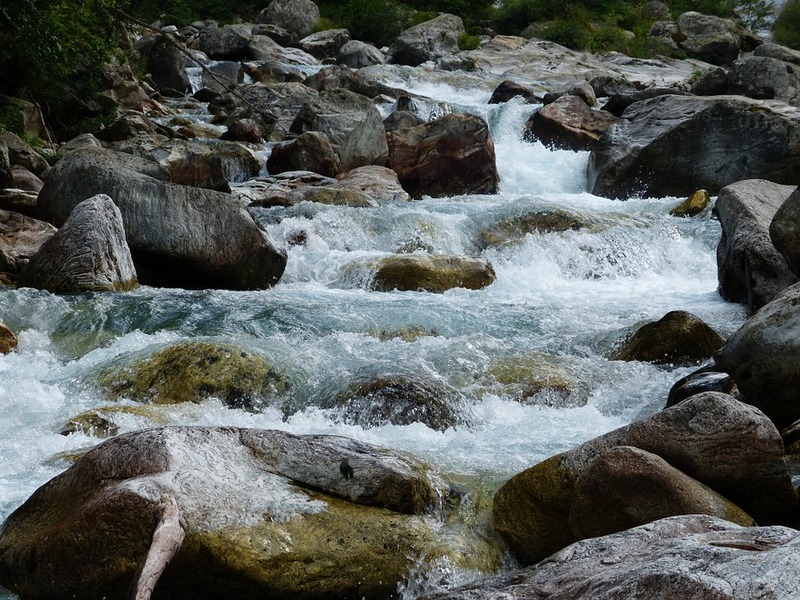 I remember the summer camping trips to the Berkshires region of western Massachusetts fishing the Cold River and its confluence with the Deerfield River and the pool created there. I remember swimming under the bridge where the Mohawk trail crosses the Cold River so aptly named. As I jumped in and swam to the opposite shore, my breath taken from me, I remember the stinging, cold induced numbness grip my legs from the frigid water despite the hot summer day. And so I returned with my sons on a camping trip to this spot for a bit of fishing and maybe to transfer a memory down the line. And I thought it would come back and perhaps that would bring happiness, memory and fulfillment. I remember feeling cold and yet all the physical cold felt at the time brings comfort of warm memory now. All this discussion of cold brings to mind the Pulitzer Prize winning book of poetry, Blizzard of One, by Mark Strand, who served as Poet Laureate back in 1990-1991. I think this poem speaks to the transiency of this life, but also individuality and recurrence. I shudder at the injustice done this poem every time I hear the phrase "snowflake generation." 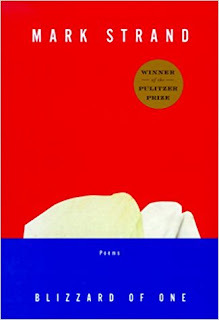 Strand penned this poem in Italy while sitting by a window during a snowfall, and he became the reader looking up from his book to experience the "flowerless funeral" of the melting snowflake. Reflecting on this poem, it is also worthwhile to consider how melting snowflakes give rise to cold rivers. 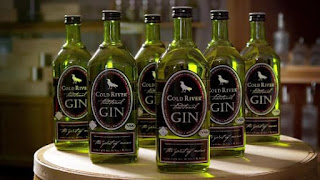 Cold River Gin is produced in the state of Maine which is mostly famous for lobsters and potatoes. While a majority of Gin producers utilize a neutral grain based alcohol, it is the Maine potato (thankfully not lobster) which has been utilized in this distillation. The Gin is triple distilled in small batches in a copper pot. After instilling the botanicals, the spirit is cut to a proof of 94 utilizing water from the Cold River in Maine. It seems there is a Cold River in nearly every state, but only this distillery in Maine has applied the name to my favorite beverage. The botanicals are seven in number including Juniper (the sine qua non), Coriander, Orris root, Angelica, Cardamom, Lemon, and Orange peels. Cold River Gin is made in the style of a classic London Dry with a Juniper forward flavor. What separates it from the crowd is the flavor imparted by the cardamom which boosts the earthy notes. Another distinguishing characteristic of this Gin is the taste imparted by the potato base alcohol lending a distinctive mouth feel. There is a nice lingering finish to this Gin. At 94 proof, some may feel a bit of a burn from this Gin, but I think the folks at CRG have blended the botanicals carefully enough to ameliorate this. The garnish I like most of all with a Cold River Gin Martini is the bleu cheese stuffed olive as it seems to stifle the heat just a bit. Overall, this is an excellent choice for a Martini and is highly recommended.